What Makes It So Fun to Control Multiple Protagonists in Video Games? A good cast of characters is essential to my enjoyment of any media. Some people are in it for the plot, the spectacle, or the action, but I’m all about the way that characters interact—especially in video games, where you sometimes get to control multiple characters yourself. Rather than influencing the story and gameplay in just one way, games with multiple protagonists let you have an even greater degree of control. They give you access to a variety of character abilities and classes in a way that’s tied right into the story, often allowing you to combine them for exciting new effects. When done right, having more than one character to control can be a lot of fun for players. It’s not just about having them there as alternate options—something like Street Fighter or Mortal Kombat—but about how tying two or more characters to each other and the plot can make for more exciting gameplay and stories. 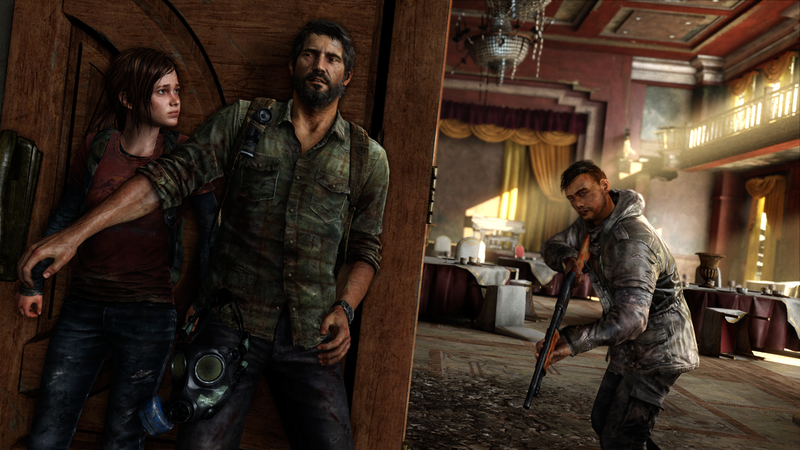 The Last of Us is primarily centered on Joel as a protagonist, but that doesn’t mean he’s the only hero of the story. His connection with Ellie, a young girl who is immune to the fungus infecting people and turning them into zombie-like enemies, is based in necessity at first, but they each grow to appreciate one another as the story progresses. You spend most of the game controlling Joel, but Ellie is an equally important protagonist, fleshing out Joel’s characterization as he fleshes out hers. Both are characters who have become who they are due to the circumstances they live in, prioritizing survival before most other ideals. Midway through the game, something goes wrong—Joel is bitten, and the player must take control of Ellie instead. Ellie and Joel must work together, but it takes time for them to develop a sense of teamwork rather than just keeping each other alive out of necessity. Image Source: Flickr user Naughty Dog. Though you don’t switch off at will between the two, the time you spend playing as Ellie lets you experience the world differently. The people you encounter take Joel seriously, though the same is not true for Ellie. She’s not as experienced at living on her own, and having to use violence to save herself takes a different toll on her than it does on Joel. The time you spend as her emphasizes the differences between them, and how well their personalities complement one another, giving you a greater appreciation for how each one’s strengths help shape the other on their journey. Though Troll and I isn’t out yet, it presents another way it can be thrilling to play multiple protagonists. As Otto, a young man in post-World War II Scandinavia, you meet up with a troll straight out of folklore, beginning a journey unlike any other. Troll can help Otto get to high places, letting him get a better idea of their surroundings to aid them both. Both Otto and Troll inhabit a changing world, though they experience it differently. Together, they make a great team with different skills to help one another evade the hunters pursuing Troll. Unlike The Last of Us, this game lets you control both protagonists when you want, changing them as you see fit to overcome different obstacles. In this game, the fun in multiple protagonists is in seeing how their abilities work together. Troll is good at dispensing large enemies and lifting Otto to greater heights, while Otto is better at up-close, deft combat and agility-based skills. Together, they form a team that can overcome any obstacle—and learn from one another in the process. Despite being different species, Otto and his troll friend work together to stop the destructive hunters, forming a friendship out of both necessity and compassion, strengthening the game’s story and gameplay as a result. Most Grand Theft Auto games put you in the shoes of one ne’er-do-well trying to get their life together, but Grand Theft Auto V takes it a step further, letting you control three separate characters with their own paths to tread. Each has a distinctly different personality and motivation for engaging in crime, as well as a unique relationship to each other—Trevor, Michael, and Franklin’s connections are fraught with tension, making the story more interesting because they don’t quite get along. The tensions between Michael, Franklin, and Trevor drive Grand Theft Auto V’s story, making it an interesting twist on your typical game with multiple protagonists. Image Source: Dodo8 via Wikia. Unlike Troll and I, which is all about the power we gain when we work together, Grand Theft Auto deals more in a fractured sense of teamwork. Each character’s personality clashes in some way with another, progressing the story not through shared victories but through ever-growing tension. These characters are interesting not because their skills complement one another, but because they don’t. The balance is a little skewed in this title because Franklin so often represents a middle ground between the more extreme Michael and Trevor, but that makes him an interesting character, too. While gameplay is largely the same between the trio aside from certain special abilities, the way the story works between the three characters is what really makes it unique. Games are typically longer than movies or TV shows, giving them even more time to amply develop characters, even when splitting the time between multiple protagonists. And while a lone wolf hero can be an intriguing, likable figure, teaming them up with somebody else can give you insight into their character you might never have expected, as well as a wealth of new gameplay experiences. Games like these are memorable not just because of their solid mechanics, but also because of how putting two characters in the spotlight creates a story as deep and rich as you can hope to find. Even when characters don’t get along, the conflict is enough to keep us interested in the events. There’s power in multiple protagonists in video games, and, in the hands of skilled writers and developers, they can create compelling narratives unlike any other. Troll and I lets you explore the incredible wilderness of Northern Europe as a young boy and his giant troll companion. Preorder your copy today!